This is it! A standard BB zebra aprox. 14 -17 cm in the tank. 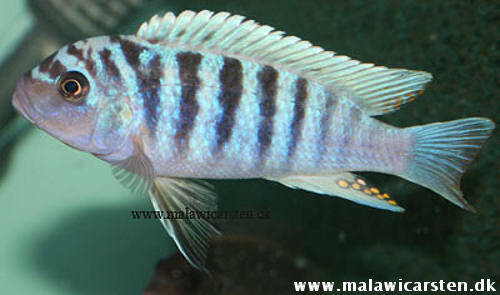 I got a lot of this cichlid. Very intelligent fish, like KH about 15 to 18. Gh 10. Lifespan 18 -22 years in the tank.